Odoo has an accounting system for managing the income, expenses, and other financial activities of all over the firm which also involves corporate acquisitions (fees), sales (invoices and income), debt (funds, payment accounts), etc. Online accounting system is designed to track any financial transaction and is able to generate comprehensive statistical reports that support management. It is an open data set to assist in the decision making process too. Today, Odoo uses system that are typically automated and computer-based, using proprietary software and/or cloud-based services. There is also online invoicing made easy which manage contracts, create recurring invoices, bill time sheets and employees get paid faster. However, historical accounting systems are a complex set of manual calculations and balances which is avoided by Odoo. However, the accounting method will be modified to suit the Odoo’s specific accounting requirements. Managers must determine the specific accounting needs of their company and industry and choose the systems that meet those requirements. While Odoo require strong inventory tracking, other companies require detailed reports on accounts receivable and ongoing work. However, the Odoo online accounting system has a common purpose: to manage the financial activities of the business, such as income, expenses and obligations. 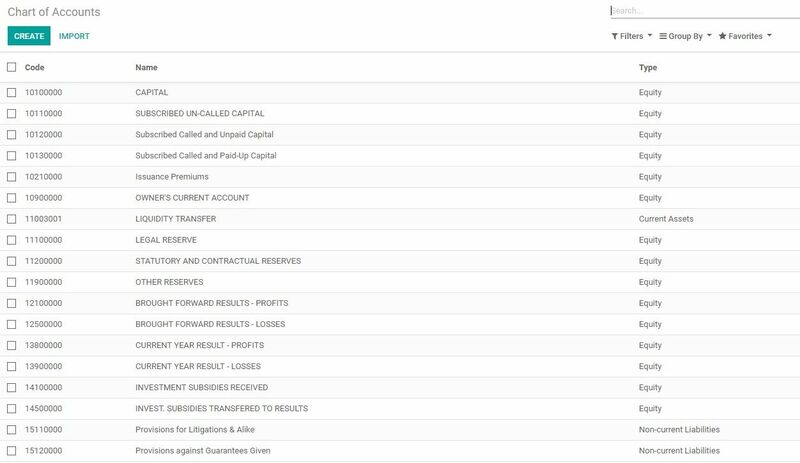 Fully Configured Lebanese chart of account account to Oscar published Accounts list. i s about managing the expenses of your employees of every department with an easy online portal. These expenses are travel expenses, allowance expense, medical expense and many other kinds of billings.